My work focuses on plate pieces (chaney pieces) unearthed in ploughed fields and broken tableware. Those unearthed in fields have survived modern farming methods and remind us of our vernacular heritage and past. Everyday objects refusing to be forgotten. I create art works through the interpretation and re-imagining of patterns on these found plate pieces. Through keeping their original form and exaggerating it helps to create a new function and purpose for the found objects as an art piece. 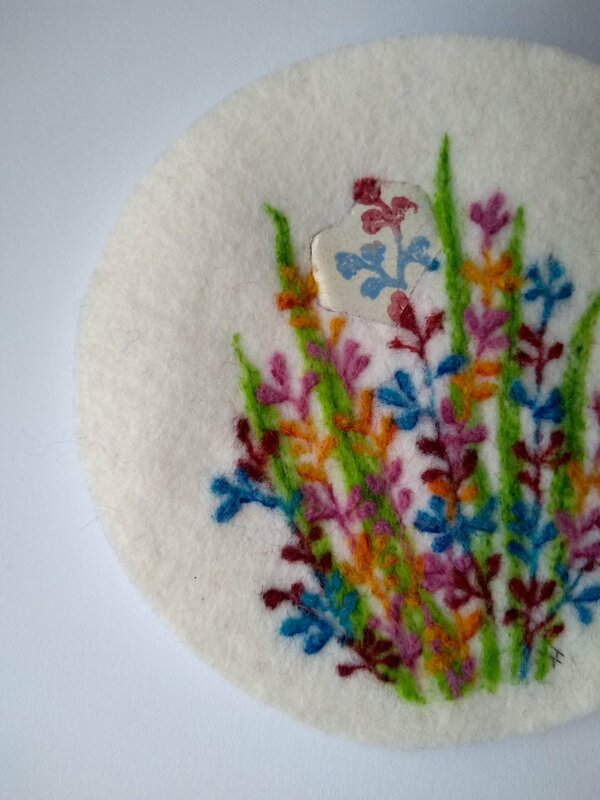 I have achieved this through combining contrasting textures of found glazed pottery pieces and soft wool fibres using traditional wet felting and contemporary needle felting techniques.